In one sentence - we rent what we sell. Especially when it comes to masks, fins, dive computers, dive lights, BCDs, and regulators. (Wetsuit rentals are not quite there yet!) 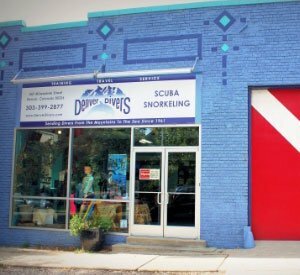 Our aim is to produce life-long divers, not one-time renters. Therefore, our prices are meant to support, "Try it! You'll like it!" If you don't want to buy yet, or are unsure of what to buy - rent and later apply the rental cost to a purchase of a like item.